When it comes to ePassports, that's not a topic that is new to governments. In fact, it has been a subject of discussion - and action - for some time now. Back in 2012, the International Civil Aviation Organization (ICAO) put out a report stating that roughly half of U.N. member states were issuing ePassports. At the time, the U.S. was leading the pack in terms of ePassport offerings, but European countries and nations in the Asia-Pacific region were also gaining momentum as far as their own ePassport presence, according to SecureID News. ePassports aren't a new topic for governments - so now it's time to get into specifics. That was the story three years ago, when ePassports and the discussions surrounding them were beginning to enjoy more global visibility. These days, while ePassport rollouts are still taking place, the technology is now an established fixture in government conversations about identity management. The ePassport market is growing very quickly: According to some industry estimates, the global ePassport market will likely experience a compound annual growth rate of 32.5 percent by 2019. In Khartoum, Sudan, news recently emerged that starting on November 25, hand-written passports will be void. In their place will be a requirement for machine-readable passports. While this is a proactive step in terms of advanced technology, it also brings up the question of how the Sudanese Ministry of Interior will accommodate individuals when it comes to getting their outdated passports swapped out for ePassports. To that end, ePassport centers are cropping up around Kartoum to help in the effort. At London's Heathrow Airport, officials recently unveiled 15 new gates that are designated especially for ePassports. Planet Biometrics reported that these gates - which are expected to accommodate approximately 400,000 individuals passing through the terminals on a monthly basis - have the potential to provide both more expedient and more secure travel for the passengers who use them. As British Border Force Director General, Sir Charles Montgomery explained, "Increasing the use of digital technology at the border is part of Border Force's commitment to improve the passenger experience. We must protect our borders, but we also want to encourage travelers to the UK." Back in August, the U.S. updated its measures for its Visa Waiver Program to mandate that all travelers entering the country as part of VWP have an ePassport. This change had a far-reaching impact, since 38 countries harness the VWP. The fact that the U.S. chose to implement this mandate points to the inherently higher level of security that ePassports offer over legacy alternatives. By requiring biometric identifier-fueled identity vetting, the U.S. is holding VWP participants to a better security standard. Governments need to take certain steps to ensure that ePassport adoption happens in a direct and error-free way. A seamless system of passport issuance: Governments need to provide for their citizens in terms of offering them the tools to attain the increased security that ePassport solutions bring. 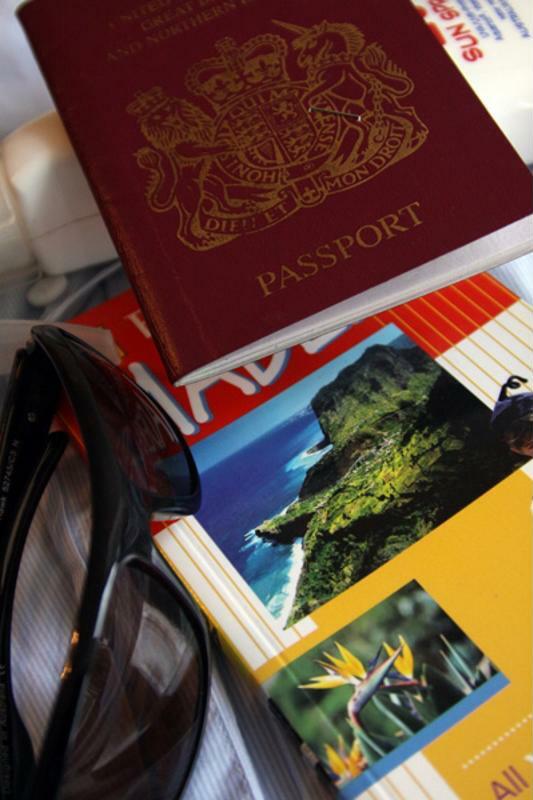 This starts with having a highly organized and user-friendly approach to passport issuance. In this regard, Entrust Datacard can play a pivotal role, as illustrated by our ongoing and evolving commitment to top-tier issuance solutions. Last month, for instance, Entrust Datacard announced an improvement to its PB6500 issuance system. This update was aimed at driving down any possibility of counterfeit materials becoming an issue. The updates to the system included the introduction of photo optimization software and laser perforation, both of which help boost security in a significant way. Advanced inspection: The move to ePassports is all about harnessing technology to push countries to a higher level of security. But if these travel documents are not inspected in the right way, that has the potential to nullify the developments that ePassports would otherwise bring. That's why it is extremely important for governments to ensure that their approach to ePassports includes top-tier methods of advanced inspection - such as the ability to integrate with vital security tools like domestic do-not-fly lists. This is something that Entrust Datacard offers through either hosted or in-house PKI technology, which is part of what makes our solution one that is so broadly deployed. As the move toward ePassports gains traction, it is vital that countries approach the technology with a forward-focused approach. Entrust Datacard provides the tools that make this possible. As Entrust Datacard vice president of central issuance and services product management Dan Good explained, the time is now for governments to take advantage robust - and evolving - ePassport solutions. "There continues to be new threats every day that push governments to elevate security and integrate the most advanced technologies into their passport programs," Good said. "The challenge for these organizations is to cost-effectively implement new technologies that help combat these threats while also protecting their investments and systems. That is precisely why Entrust Datacard continues to enhance our solutions to meet the needs of our customers." For more information on our globally trusted ePassport solutions, check out our website.